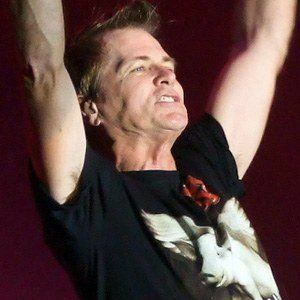 Drummer for the hard rock band Mr. Big who contributed to their unique sound on tracks like "Take Cover." Their song "To Be With You" became a #1 international hit. He was inspired to take up drumming after seeing a polka band perform at a picnic. He was active in music programs throughout high school. Due to the band's popularity abroad, he released two solo albums outside of the U.S. He was born in Cleveland, Ohio. He died from complications of Parkinson's disease. Before joining Mr. Big, Torpey was part of the David Lee Roth Band.